Recently there have been some national debates about what schools should teach as part of the ICT curriculum and a high profile has been given to programming. Programming in schools isn’t new and builds on work they will already be doing. It starts in early years with work on instructions, positional language and knowledge of machines and devices that can be controlled in the world around us. Much of this early work doesn’t need to involve technology at all but there is lots of technology that can be used to support it. Floor turtles and computer based resources can be programmed with simple instructions or complex sequences and there are several free applications. 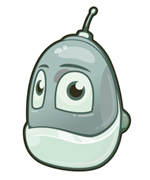 On this page there are resources to support programming for pupils of all ages. There are tools online that can be used to support work in control and programming. The TES iboard ICT resources include many that can be used to support positional language, instructions and control. Kodu is a free basic programming tool from Microsoft that allows users to create their own worlds and program Kodu and other objects to interact with it. It’s a great way to create interactive games. It works using either a mouse and keyboard or an X Box controller. There are also some tutorials within the Kodu Application, the later ones get a bit confusing until you realise that each tutorial appears twice, the first version sets the challenge the second version (which will end in the word SOL’N) provides the solution. Copyright is an issue schools have to consider whenever pupils or staff create materials, coding is no different. The NEN Copy Rights and Wrongs website includes an article describing how coding works with ‘intellectual property’. If you use code to create an original programme or app when would you use copyright and when would you use a patent? – this is something that older students, teachers and schools need to be aware of. If you have any useful information or links about programming use the comments to let me know. This entry was posted in Programming and tagged Control, Kodu, programming, Scratch. Bookmark the permalink.